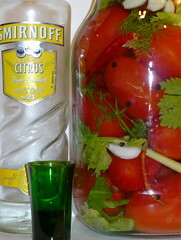 Russians pickle everything that grows:cucumbers,tomatoes,apples, watermelons, cabbage,eggplants and whatever else can fit in a jar, can, bucket, barrel and taste good 6 months later. 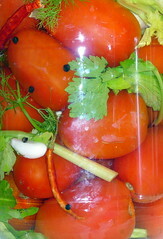 There is nothing more simple and delicious than pickled tomatoes. Inhale through the nose, repeat.